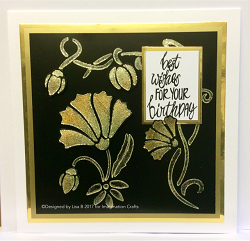 We've had many questions recently about how to use our core products; Sparkle Medium/Starlights/stencils, from people who are either new to crafting, or are moving from another craft to card making. And we've also had requests for refresher courses from people who might not have used the products in a while, so we thought we'd answer all of those questions and requests in these shows. Lisa has planned lots and lots of demos for the shows. 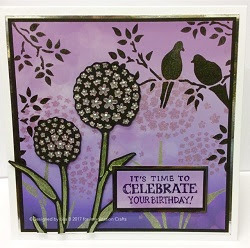 The cards in this post are just a tiny portion of her sample projects. There will be some new products and a special offer or two. If you want to shop ahead, visit our page on the Hochanda website, the products in the shows have now been added. We wish you a great week and we hope you can tune in at some point for Lisa's shows - and if you have any questions you can email the Hochanda studio at studio@hochanda.com and get a reply live on air. Programme times are 8am, 3pm and 6pm GMT today, Wednesday May 17. As always, thank you for your support and if you visited us at the Create It show in Kent, thank you, we hope you had a great time. 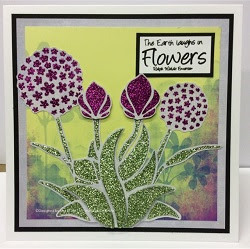 Best wishes from all at Imagination Crafts.